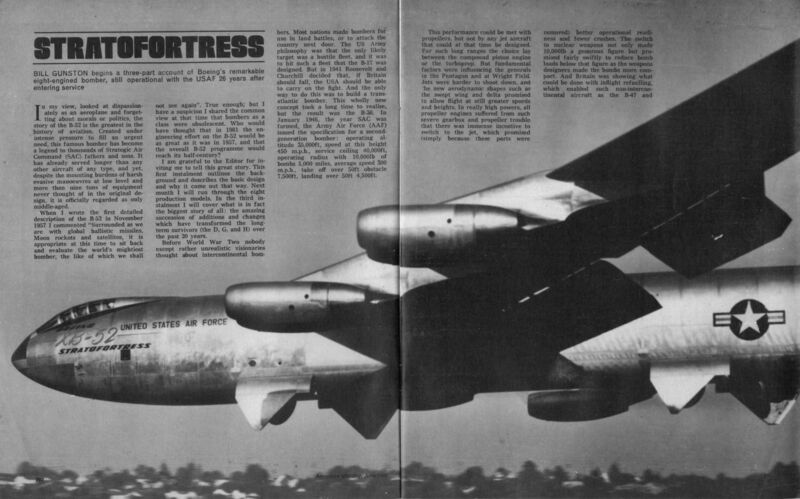 View of the YB-52, the second prototype B-52, which first flew on April 15, 1952, ten months after the XB-52. The XB-52 landing after an early test flight. Note the amount of wing flex. This view of the YB-52 shows the wing-tip protection wheels extended. 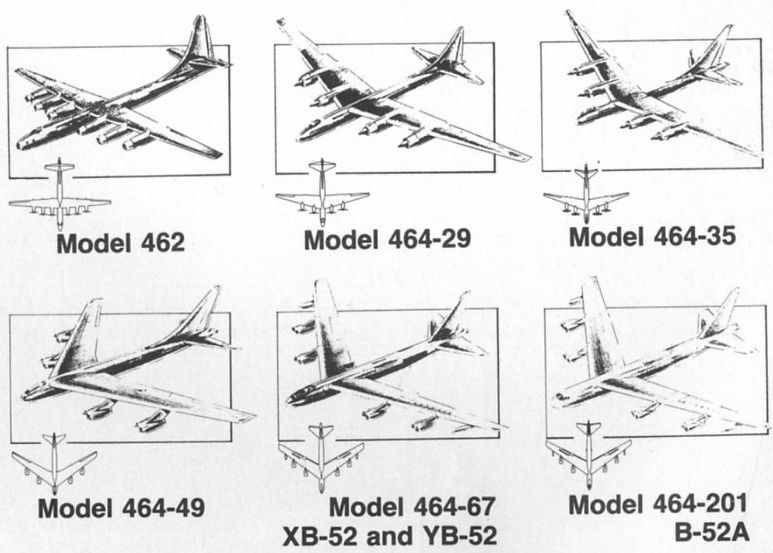 Diagram showing six stages of B-52 Stratofortress development. The Model 462 clearly shows the influence of the B-29.